As entrepreneurs, we’re on our computers a lot. And for many of us, that means we’re sitting a lot. Pretty much all the time. The thing is, all of this hard work and magic-creating can put a lot of stress on our bodies. Our spines take the hit the most, and how many of us are constantly worried about our posture and its (I know, sorry) aging effects? There are a million different sources out there saying different things about what is best for better posture and a healthier back. Some have invented strappy devices that you wear underneath your clothes. Others say it’s all about a strong core. It can feel overwhelming and impossible to know whom to listen to — but this week we’re going to explore the advice of an expert in the field. Someone who I think knows exactly what he’s talking about. 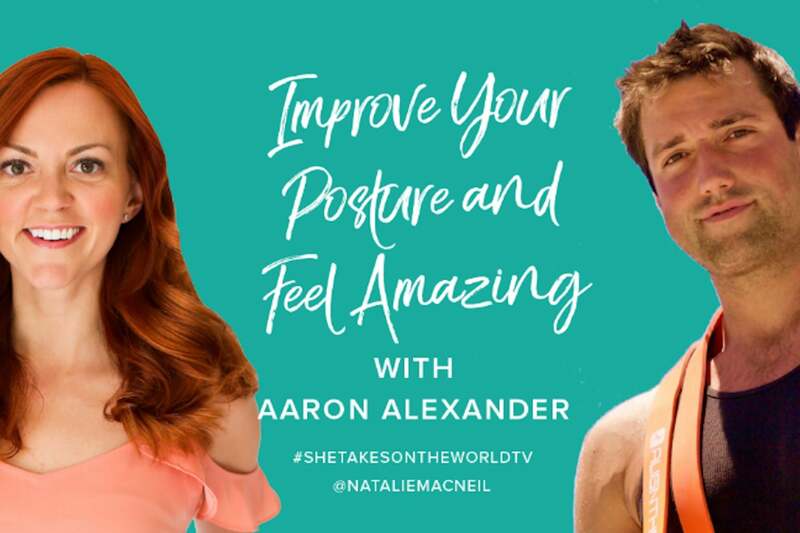 Aaron Alexander is a certified body and movement coach, with over 13 years of experience helping people from all walks of life — from Olympic athletes to Hollywood’s biggest stars — improve their body through movement. He’s the founder of aligntherapy.com, and has traveled all over the world speaking, sharing his tidbits and helping people build better movement habits from the ground up. And this, he has challenged us to sit better. Well, actually our challenge is to not sit in a chair at all. Your mission, should you choose to accept it: No sitting in a chair. Only sitting on the ground or standing. All week long. While you’re sitting on the ground, too, you should be propped up so that your spine and whole body are in proper alignment. Be sure to follow me on Instagram and tune into my stories all week long to hear how I’m doing! Have some thoughts about this mission and want to share how you’re doing? Send me a DM. Can’t wait to hear from all of you!